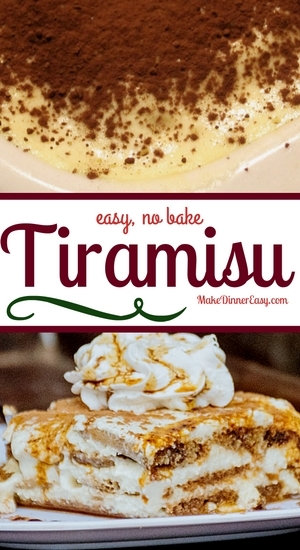 When I think of Italian dessert recipes, I think of Tiramisu. This is one of my favorite no bake desserts. It's easy to make, calls for easy to find ingredients, is amazingly delicious, and I really need to thank my friend Dana for sharing this terrific recipe. The ladyfinger cookies that are called for in are the hard variety,I usually find them in a grocery store that has a large variety of ethnic foods. 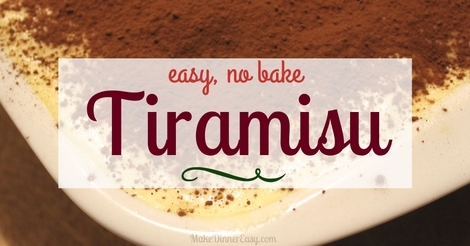 Most tiramisu recipes have a coffee colored filling, this recipe has a snow white filling that is off-set by chocolate sprinkles on top. Yum! Mix 1 cup of coffee, the brandy, 1/2 cup of sugar and 1 teaspoons of vanilla. Slowly pour 1/2 of this mixture over the cookies. Do it slowly so that each cookie has the liquid poured over it. Using a stand or hand mixer, beat the cream cheese until smooth. Slowly add the whipping cream. Initially beat this mixture on a slow, then gradually increase the speed (otherwise it will slosh out of the bowl!). Continue to mix until it looks like a thickened whip cream (may take up to 10 minutes!). Stir in 3/4 cups of sugar and 1 teaspoon of vanilla. Spread half of the whipped cream mixture on top of the cookies. Then add another layer of cookies. Pour the remaining coffee mixture evenly over the cookies. Spread the rest of the whipped cream mixture on top of that. Take a small chocolate candy bar and using a vegetable peeler, make chocolate curls or you can also grate chocolate on top using a vegetable grater. Chill covered. Can be made up to 1 hour to 1 day in advance and refrigerated. Variation: - if you like a darker colored filling, cocoa can be added to the whipped cream mixture. If you'd like to make this on another day, Pin it for later!